When Logan W. Sims first signed up for the MR340, he knew he wanted to raise money for an organization; however, he was worried that it wouldn’t be allowed, as the MR340 is a fundraiser in itself. 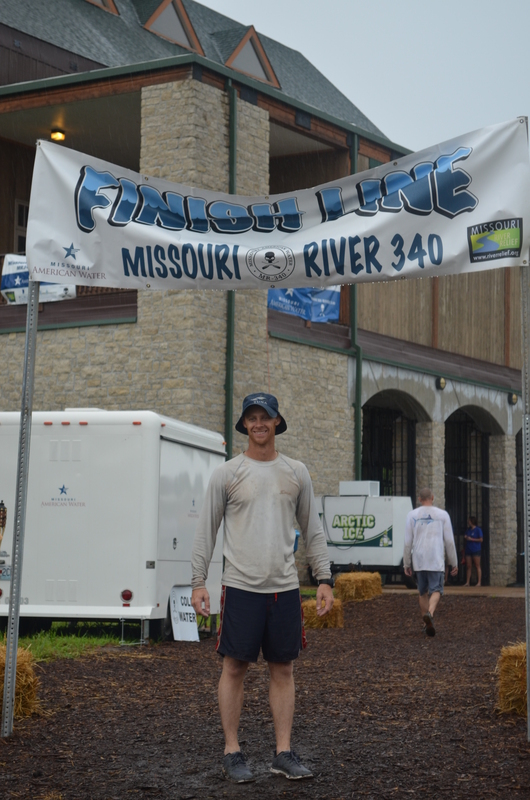 All race fees and money from merchandise purchased go to RiverMiles, an organization that maintains, improves and cleans up the Missouri River. Logan contacted Scott Mansker, the race organizer, and was granted permission to raise money for an organization of his choosing. Logan said Mansker was very supportive and happy to hear about the idea. Logan then focused his attention on finding the right organization. 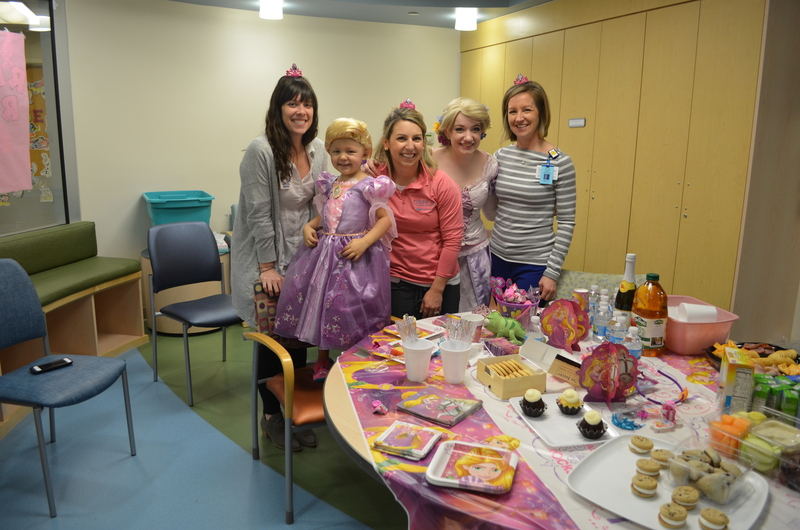 “I have a good friend with a niece that was diagnosed with neuroblastoma,” said Logan. My goal was to find a charity that focused on kids." After researching and contacting several organizations, Logan stumbled upon Friends of Kids with Cancer. Logan said he knew “within the first minute of the first conversation” he had found the right charity. Logan then continued with his preparation for race day, training whenever and however long he could. “The more uncomfortable you are in training, the more comfortable you will be on the trip,” said Logan. River, from Kansas City all the way to St. Charles. Participants are allowed just 88 hours to complete the course and are required to check in at various points in the race. “The checkpoints are at least five hours away from each other, so it was important to take food and plenty of water with you,” said Logan. Logan's ground crew consisted of his father and wife, who brought more food and water, along with plenty of encouragement. “The trip without them would have been nearly impossible. 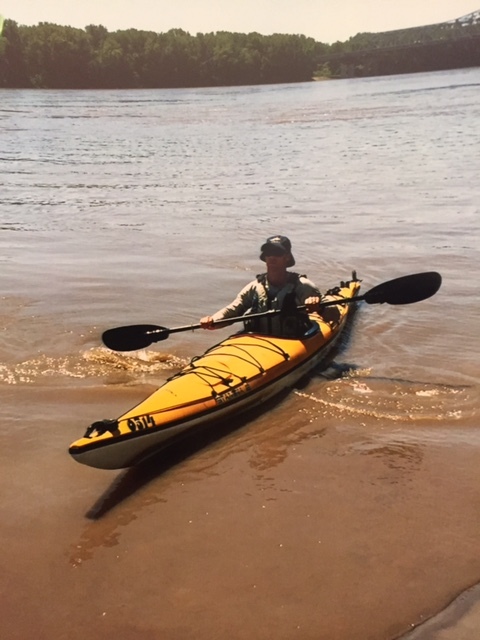 We would paddle anywhere from 18-20 hours a day and went over 100 miles for the first 3 days,” said Logan. “What little sleep we got was in the back of a truck bed or the back of a jeep. It wasn’t uncommon to see racers sleeping in the grass or on the concrete,” said Logan. Despite the hardships of the race, Logan never lost sight of what he was racing for. “I thought of the pain those kids and families go through while on my trip. When I started to feel weak mentally or physically, they strengthened me,” said Logan. Logan said raising money for Friends meant more than he ever dreamed. Every night, after paddling hard all day, Logan checked his email before going to bed. “Friends of Kids would send me new donation notifications that came in throughout the day supporting Kayaking for Kids. The support was overwhelming,” said Logan. For Logan, one of the most amazing moments of the race came at the finish line. After pad dling through horrific wind and wave conditions, he approached the finish line, spotting a large group of supporters standing in the rain, holding signs and umbrellas. Logan remembers thinking someone important was coming in behind him. However, it was Logan who was the important person. 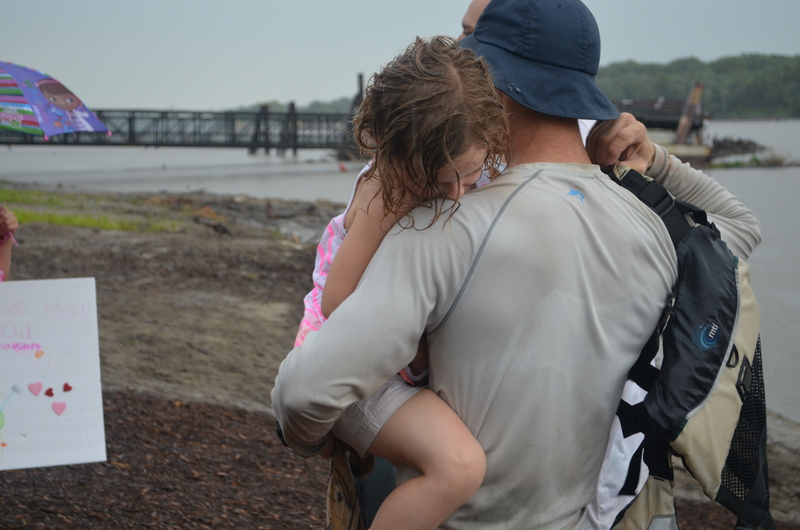 “As the rain came down and as we got off the water, we realized the crowd was comprised of our family and the women from Friends of Kids with Cancer. To me, this shows the true character of this organization,” Logan said. Logan was able to raise nearly $5,000 for Friends. Friends sends a huge thank you to Logan, along with all the friends and families who supported Kayaking for Kids and Friends of Kids with Cancer. After participating in the MR340 two years in a row, Logan would like to take a year or so off. However, Logan said he has difficulty letting an adventure pass him by. “I’m sure I will forget about the pain and struggles of the MR340 and sign up again in 2017,” said Logan. For more information on how you can volunteer and raise money for Friends, contact us at 314-275-7440 or friends@friendsofkids.com.